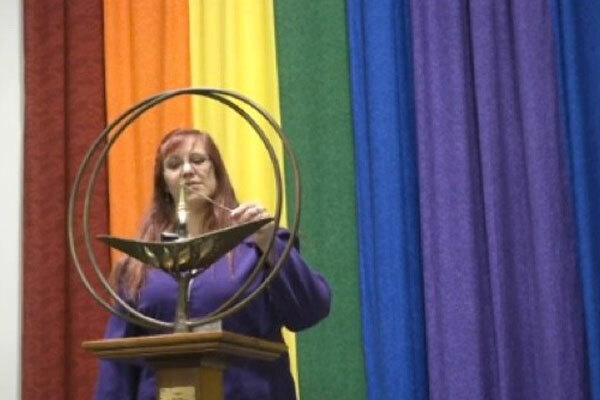 “Blessed Be, Aho, and Amen,” aren’t the words members of the Iowa House of Representatives are accustomed to hear at the closing of the invocation marking the House’s opening ceremonies, but that’s just what happened yesterday when a Wiccan priestess delivered the prayer. A number of Christian lawmakers didn’t attend the opening ceremony to protest the priestess’ historic invocation. Members of the Fort Des Moines Church of Christ organized prayers outside the Capitol. "We feel that this is completely out of sync with the traditions of our state and our nation to seek guidance from the occult. We believe it is just not a good idea," said their Pastor Demastus, according to the Des Moines Register. State Rep. Liz Bennett (D-Iowa) says she didn’t know inviting the witch would “be as controversial as it has been,” she told KCCI. Really? 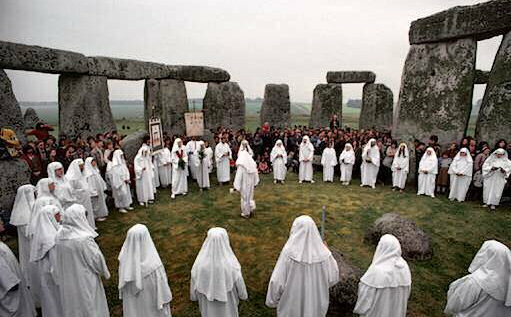 You can’t see why inviting the guys who dance around Stonehenge with made-up incantations would be the least bit controversial? The religion appeared in the 20th century and relies on a mixture of neopagan beliefs and practices. There’s no one leader or central authority, and they’re represented by a 5-point pentagram star inside a circle. Maynard, who calls herself a Cabot witch, said that the hardest part was limiting her prayer to one minute. The peculiar ending to the witch's prayer seems to be a weird hodgepodge of religions and cultures. "Blessed Be" is a neopagan Wiccan greeting that means "you wish good and positive" things upon the person greeted. "Aho" is a Native American word that means "thank you" and "Amen" means "So be it" and is used by Christians traditionally at the end of prayers. "We call this morning to God, Goddess, Universe, that which is greater than ourselves to be here with us today. By the Earth that is in our bones and centers us, may all here remember our roots and those whom we are here to represent.